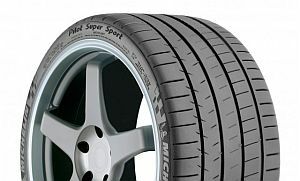 Wooden tyres don't have the best ring to them, but Michelin firmly believes they'll be a reality in 2020. The French tire maker told Motoring in a report published this month of its plans to introduce wood into tyres, and it's all about moving away from oil. Cyrille Roget, Michelin's worldwide director of scientific and innovation communication, said the plan is to create more sustainable tyres in the future, and experiments with wood waste have provided a solution. The tyre maker will incorporate elastomers from wood chips to replace a tire's oil content. Today, 80 percent of materials found in tyres come from oil. In the future, that percentage will drop to 20 percent by 2048, Michelin believes. And rubber will also be included, which Roget said is also sustainable. "Trees grow everywhere. So, you re-distribute the opportunity for everyone to have local sourcing. And they are renewable," Roget added. Much further into the future, Michelin not only foresees tyres made from wood, but also a single set of tyres for a car's lifetime. The company believes one day that 3D printing will revolutionize the tyre process. Where today drivers must physically change tyres after the tread wears down, 3D printers could conceivably "recharge" tread. In layman terms, a 3D printer would print new tread when the tread eroded to an unsafe level. Roget even pictured a day when an electric car charging station also includes a 3D printer to "recharge" tyre tread. 3D-printed tyres are further down the line, perhaps 15 years at minimum, Roget said, but Michelin hopes to show its first tyre made from wood in less than two years.